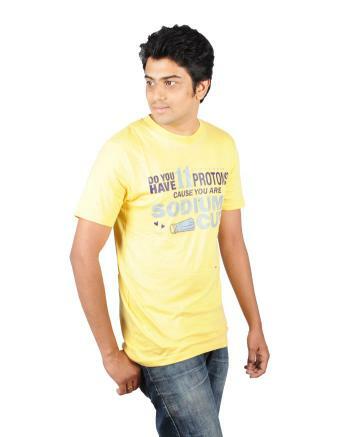 Casual look approach, wear Yellow color printed t-shirts available in all sizes. No matter what your age is we have t-shirts for every age. Be it a jogging track or a beach outing with friends, t-shirts are a must wear, it goes well with Bermudas and a pair of flip-flops. What’s more, we have matriculated so many brands under one roof.